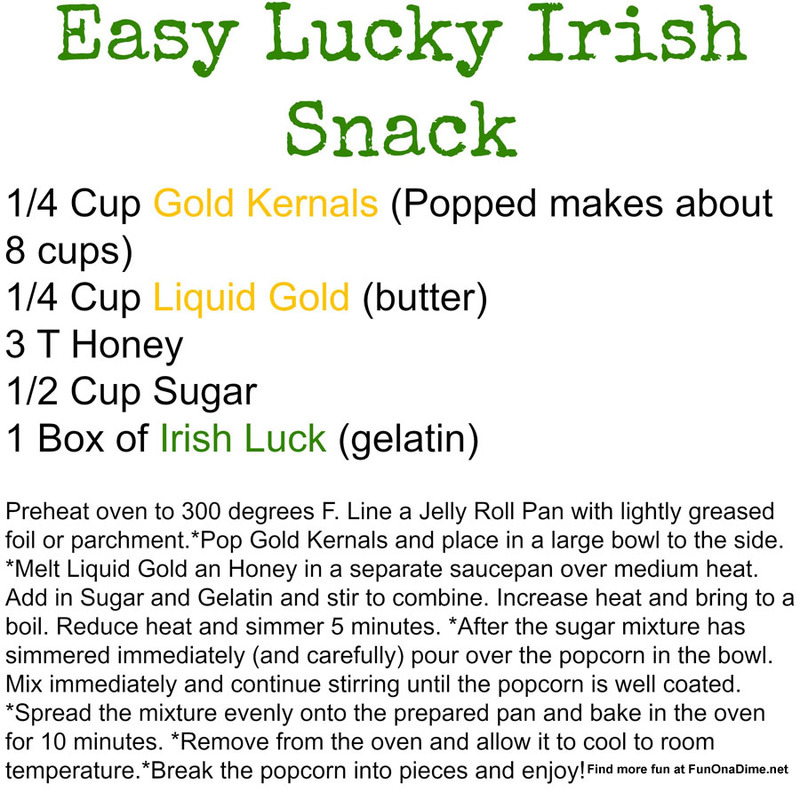 I have this fun little Irish Luck Kit I made for our last Pinterest Party I had with our friends and made this yummy flavored popcorn. Normally, I am not a big fan of these types of popcorn because I do not like corn syrup based food, but I came across a different type of recipe that used honey instead and so I tweaked it for this type of popcorn dish. That makes it healthier, right? 😉 It is super yummy and super sweet. One cup of this was more than enough for me. Best of all, it was super easy to make. You know how I love that! Step 1: Preheat oven to 300 degrees fahrenheit and prepare your baking sheet ahead of time by covering it with tinfoil and lightly greasing it. Step 2: Pop your popcorn and set aside in a large bowl. Air poppers are great because they don’t add any extra oil or butter to your popcorn and it’s fast! Step 3: In your saucepan on the stove over medium heat, melt your butter and honey together. Step 4: Add sugar and gelatin to the pan. Stir to combine. Once mixed, increase the heat and bring to a boil. Then reduce the heat and simmer 5 minutes. Step 5: After the sugar mixture has simmered, immediately pour the mixture over the popcorn in the bowl. Be careful not to burn yourself. Step 6: Mix immediately and continue stirring until the popcorn is well coated. Step 7: Spread the mixture evenly onto the prepared pan and bake in the oven for 10 minutes. This helps make the popcorn a little crispier instead of gooey and soft. Step 8: Remove from the oven and allow the popcorn to cool to room temperature. Then break the popcorn into pieces. Make sure you do not store or wait a long time to break the popcorn up. One time I made this super fast and then took it with me in the car thinking I would break it up later…by the time it was super cold, it was stuck to the tinfoil and a big hard mess to take off the tinfoil. Room temperature was perfect and super easy to remove! My kiddos are popcorn lovers and loved it plain and sugared. Just remember to have fun!!! 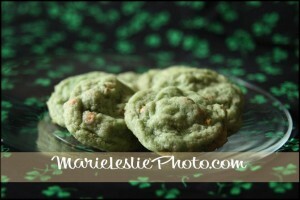 Don’t forget to print out your recipe and make your own Irish Luck Kit. What’s your family’s favorite popcorn flavor? 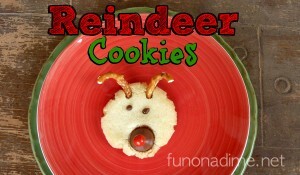 This recipe can be modified to any color/flavor that you want to use!